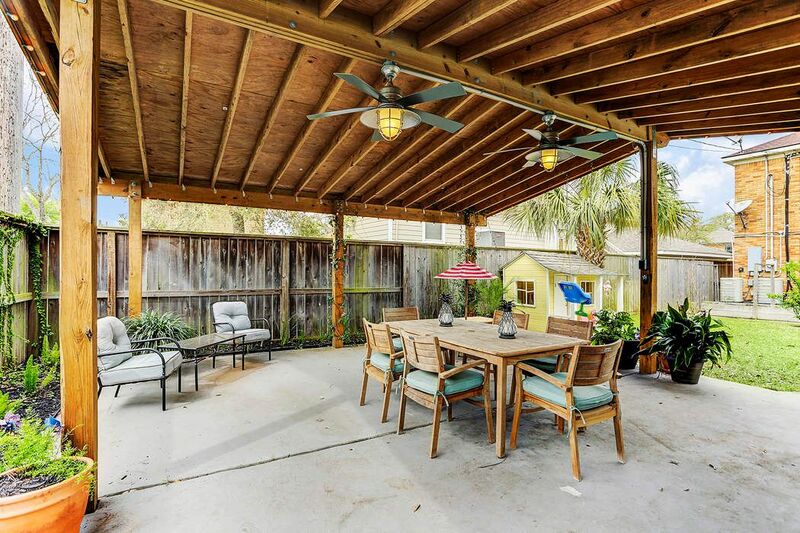 4515 Avenue N, Galveston, TX 77551 | Martha Turner Sotheby's International Realty, Inc. 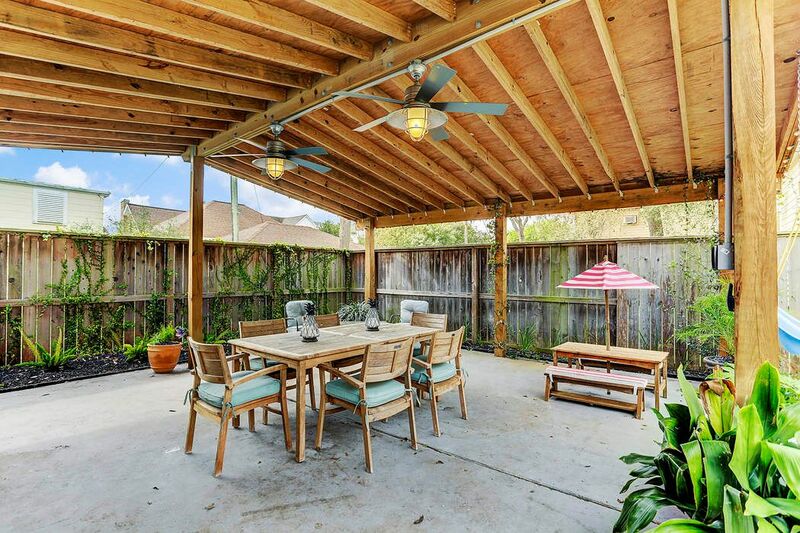 The spectacular rooftop veranda boasts glorious vistas of the backyard gardens & entertaining pavilion. The ideal spot to relax & rejuvenate with a marvelous margarita after a long day. Imagine the marvelous vistas of a future pool! 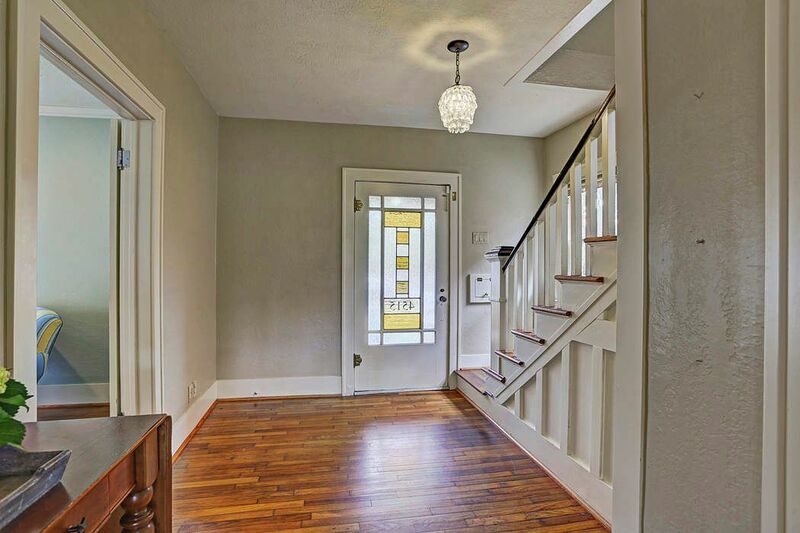 The strikingly impressive foyer is adorned with the captivating front door inset with stunning stained glass along with longleaf pine hardwoods, a crystal chandelier & wainscoting (all original to this lovely home). The outstanding formal living room is distinguished by numerous wood casement windows & longleaf pine hardwoods (all original to the home). 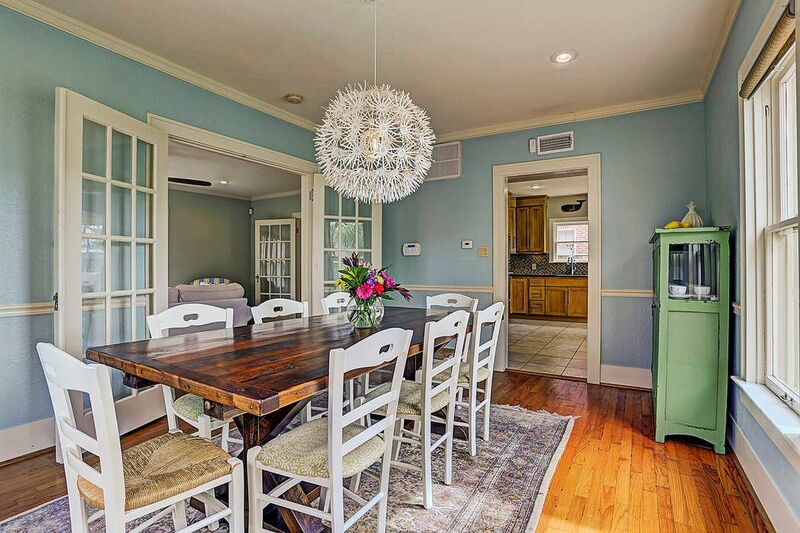 The multi-pane French doors access the dining room. 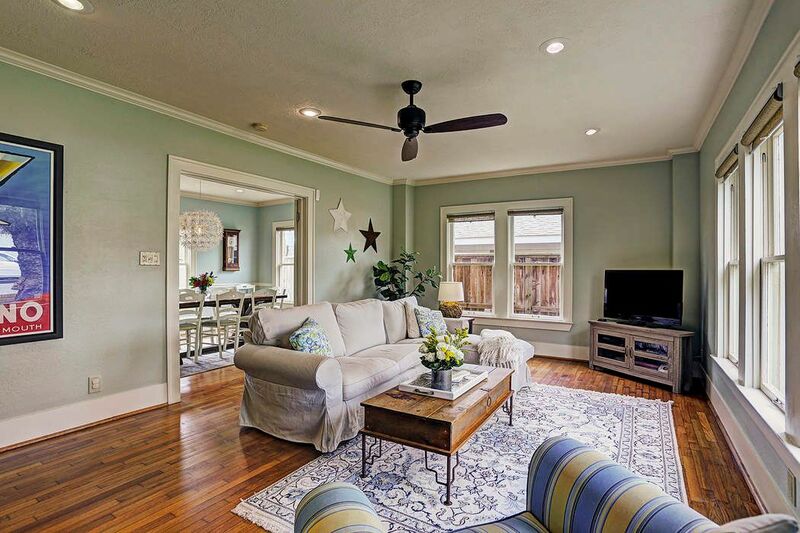 Note the crown moulding, designer ceiling fan, recessed lighting & multi-pane French door with vintage crystal door knob opening to the foyer. 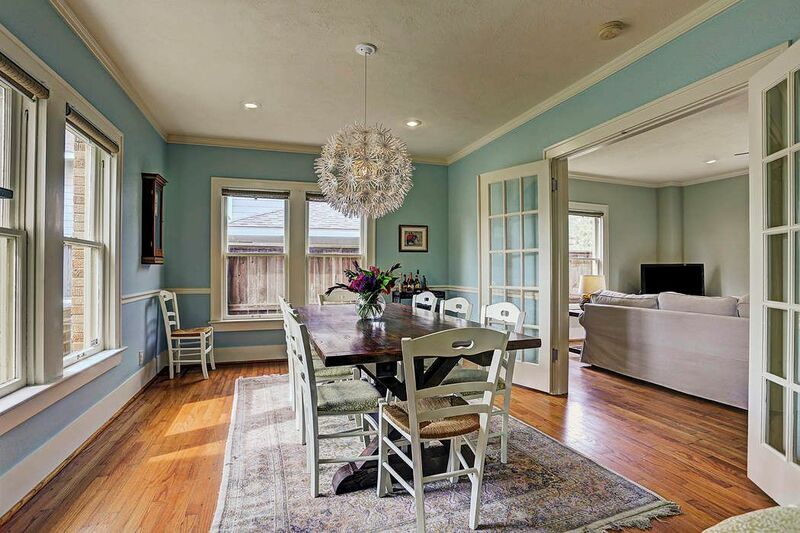 The divine formal dining room is enhanced by a chic designer chandelier & large wood casement windows overlooking the backyard gardens & entertaining pavilion along with long leaf pine hardwoods & multi-pane French doors opening to the living room. Note crown moulding & recessed lighting. 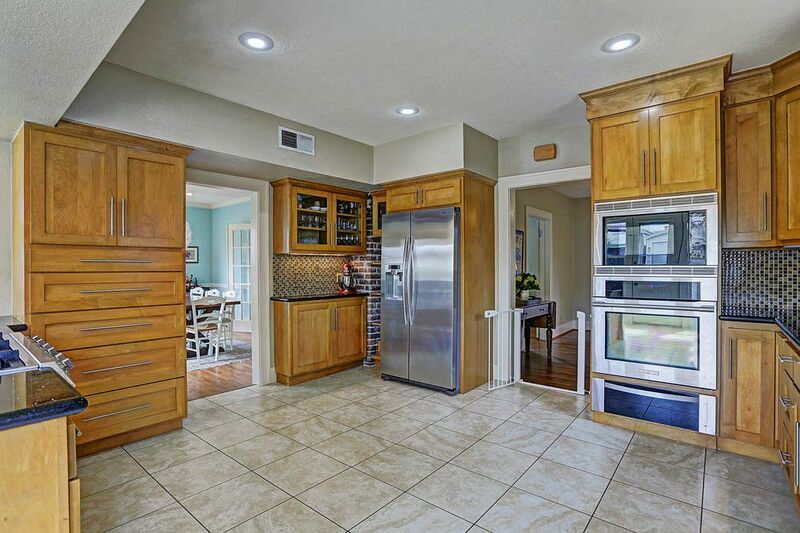 The superb epicurean kitchen is appointed with glass-front custom cabinets, gorgeous Uba Tuba granite & mosaic glass tile backsplash along with built-in Electrolux convection oven, microwave & warming drawer. 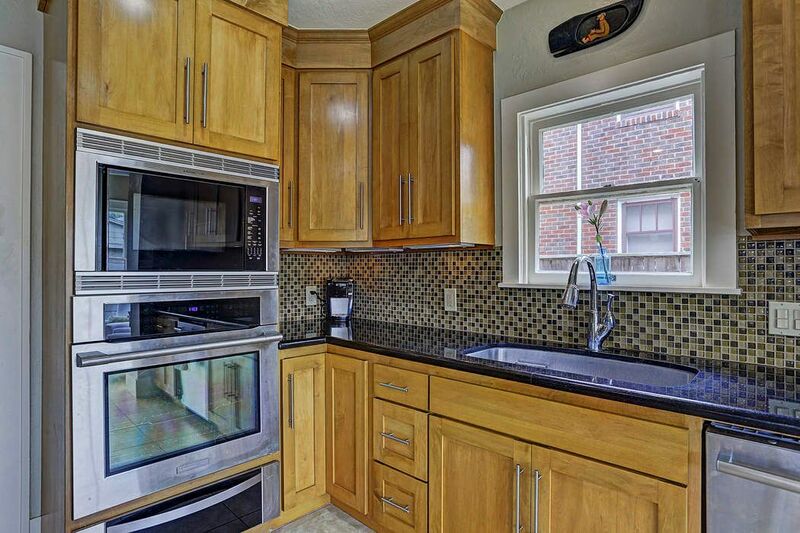 Note custom cabinetry with "soft close" drawers, under-cabinet lighting, Bosch dishwasher & large picture window. 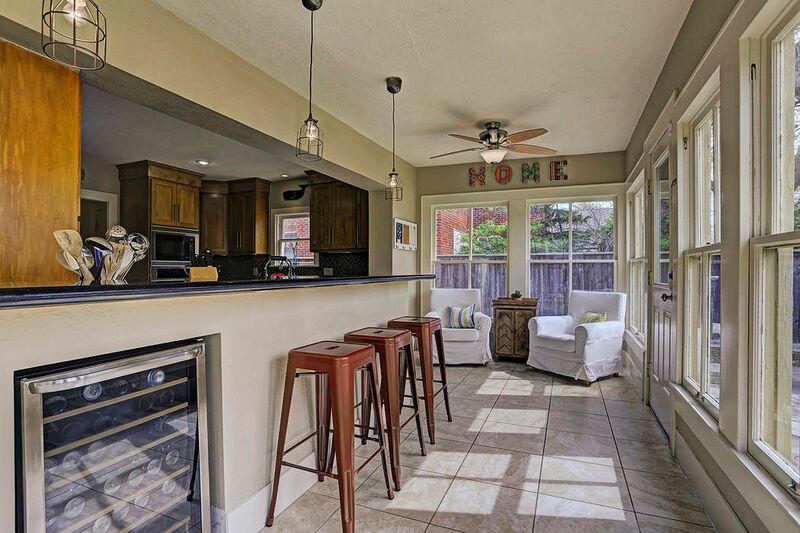 Note the fabulous flow from the kitchen into the sunroom & dining room- perfect for island entertaining! 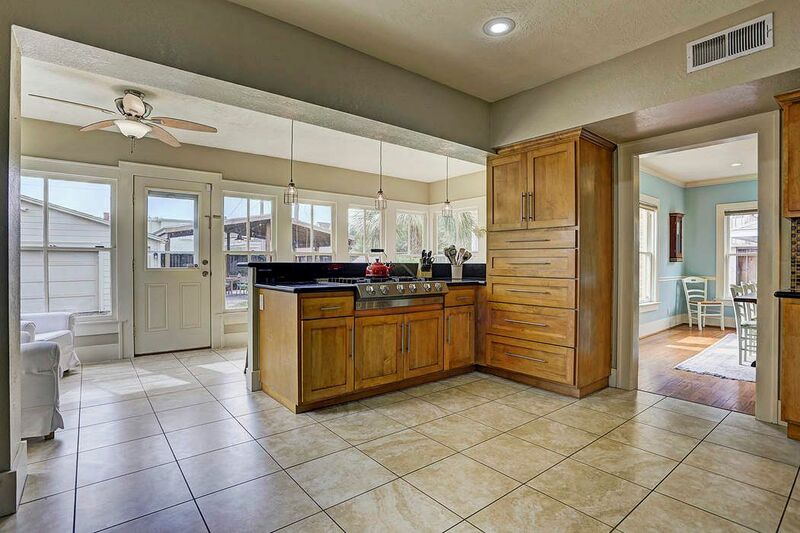 In addition, imported porcelain tile flooring, recessed lighting & ample room for a large island or breakfast room table. 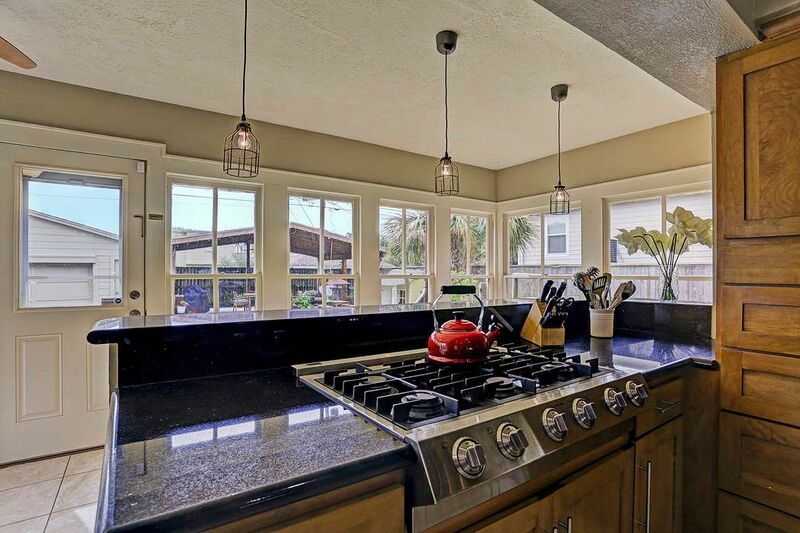 Note Viking 6-burner gas cooktop & telescoping downdraft vent along with designer pendant lighting. 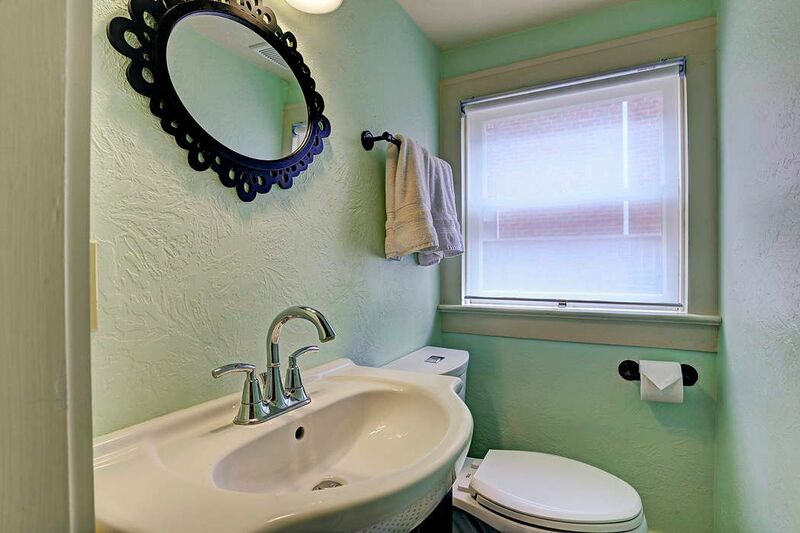 Note large contoured undermount sink & designer fixture. The perfect cozy corner to savor your morning latte while you plan your day. 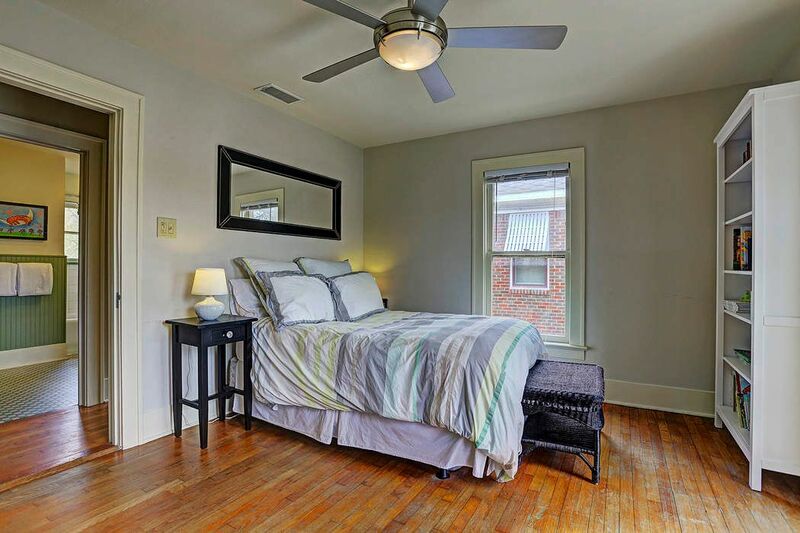 Gracious corner bedroom. 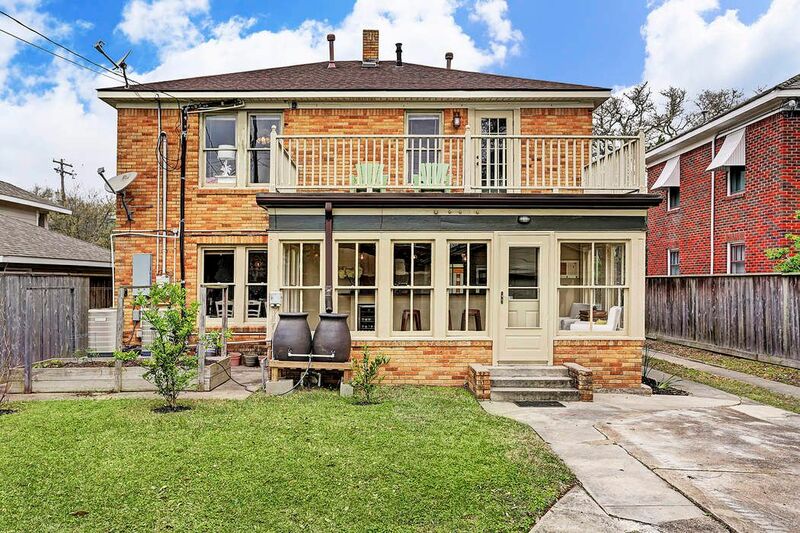 Note multi-pane French door accessing the rooftop veranda. 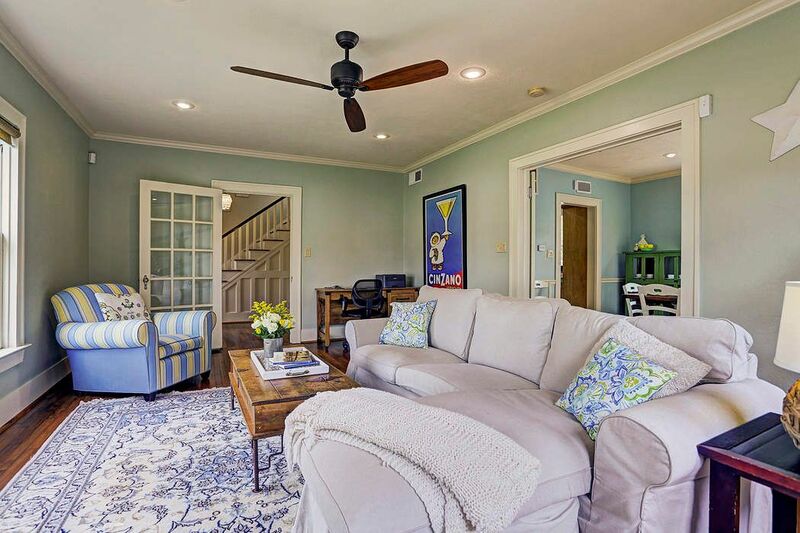 Note designer ceiling fan, longleaf pine hardwoods & large wood casement picture windows overlooking the backyard gardens & pavilion. 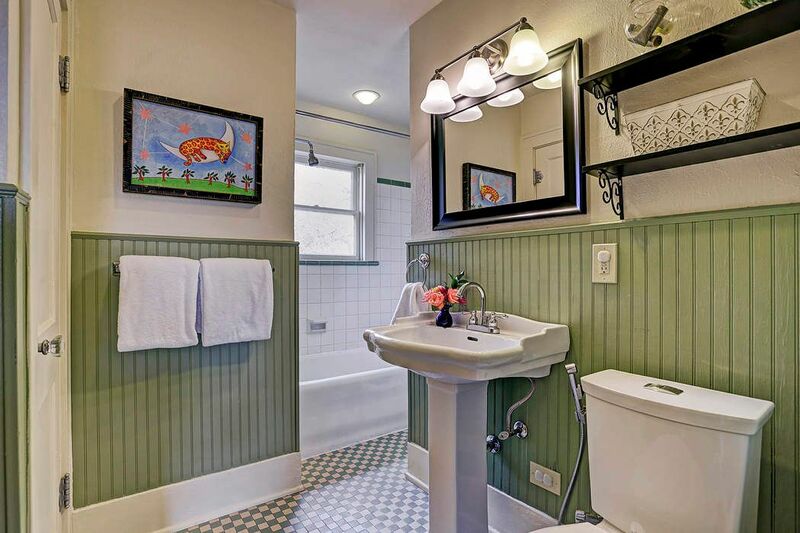 The exceptional upstairs hall bath features a pedestal sink, "vintage look" checkerboard tile flooring, retro tile tub/shower surround, beadboard wainscoting, a framed mirror, designer light fixture & picture window. 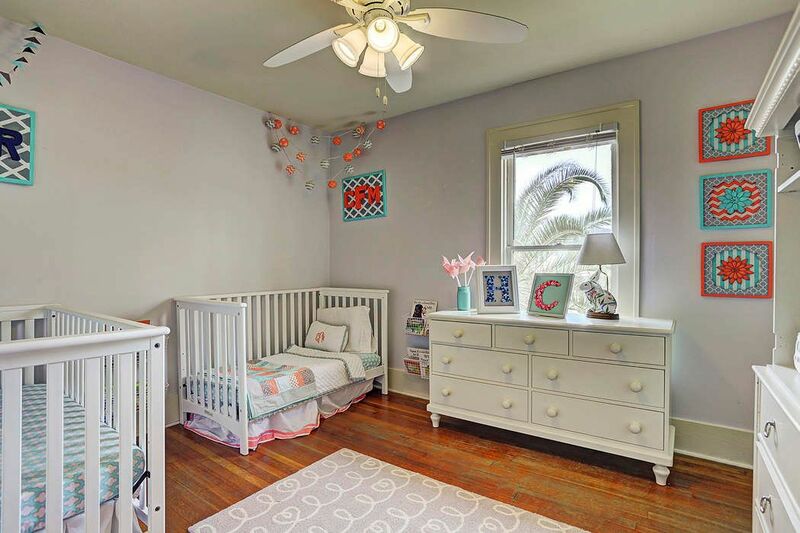 This precious middle bedroom offers a walk-in closet, longleaf pine hardwoods, large wood casement picture window & a designer lighted ceiling fan. Distinctive powder room. Note antique vanity & wood casement picture window. 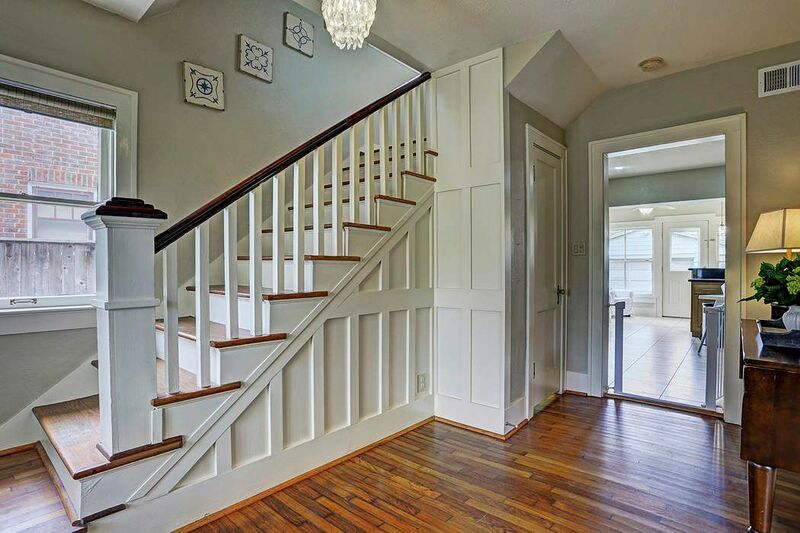 The light & bright staircase offers original longleaf pine stair treads, extensive wainscoting & 2 large wood casement picture windows. Manicured backyard lawn. Note water conservation cisterns along with custom raised flower & vegetable garden. The stellar entertaining pavilion. 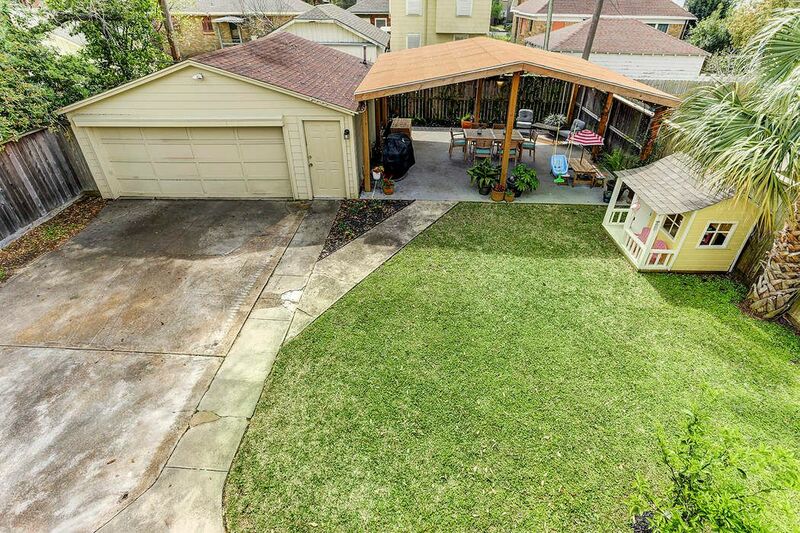 Note the cathedral beamed ceiling, designer lighted ceiling fans & adorable children's playhouse (conveys with property). Note large concrete pad bordered by flower beds. 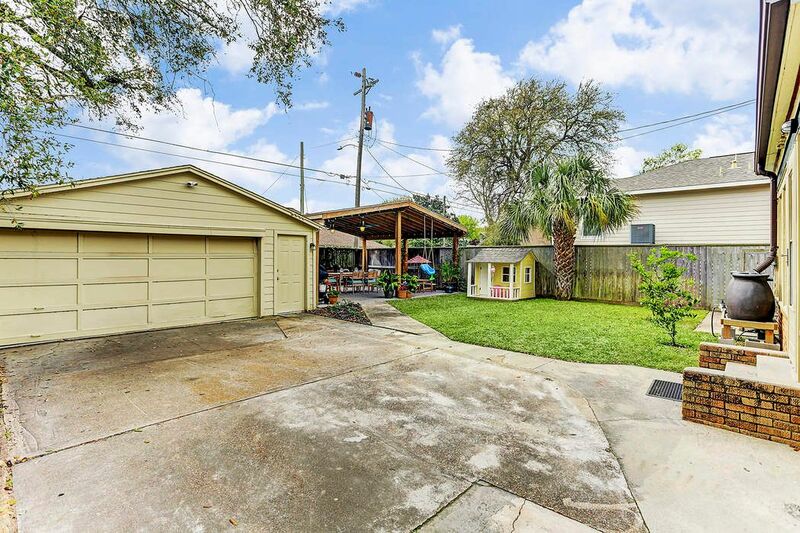 Oversized 2-car garage with ample storage area. Note brick-trimmed steps ascending to back door. 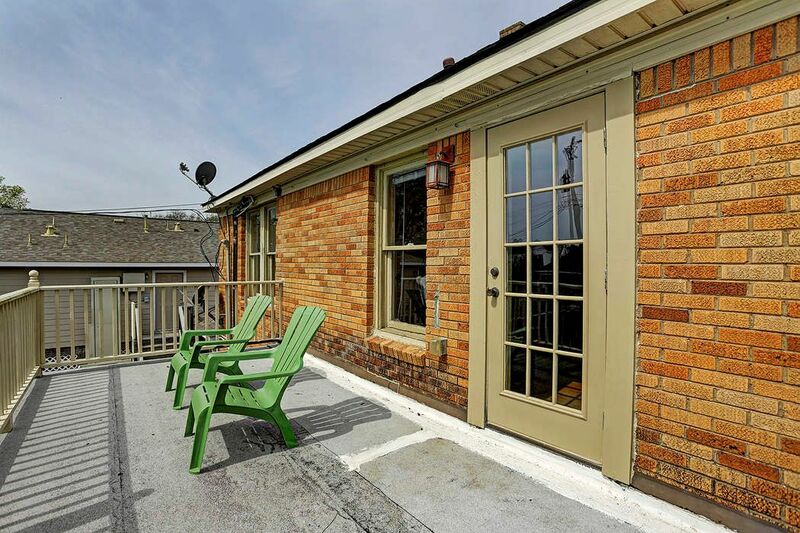 The extraordinary rooftop deck. Note multi-pane French door accessing the corner guest bedroom. 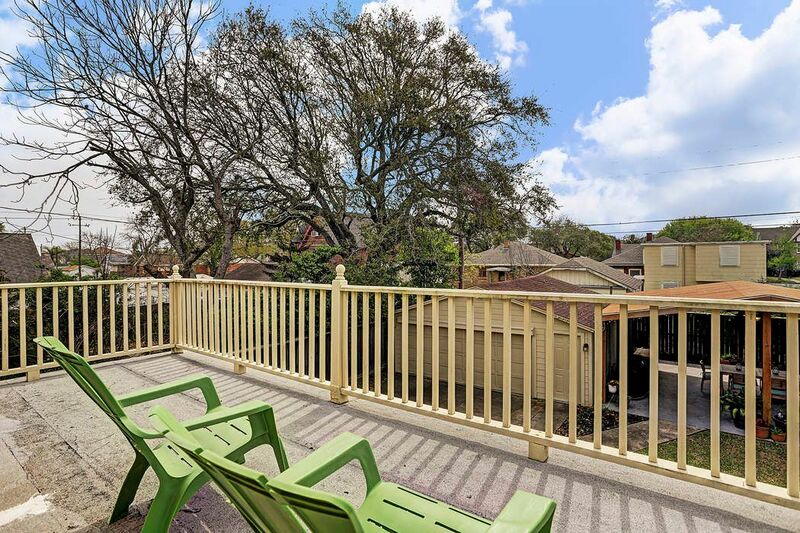 Entertaining pavilion & backyard garden vistas from the rooftop veranda. 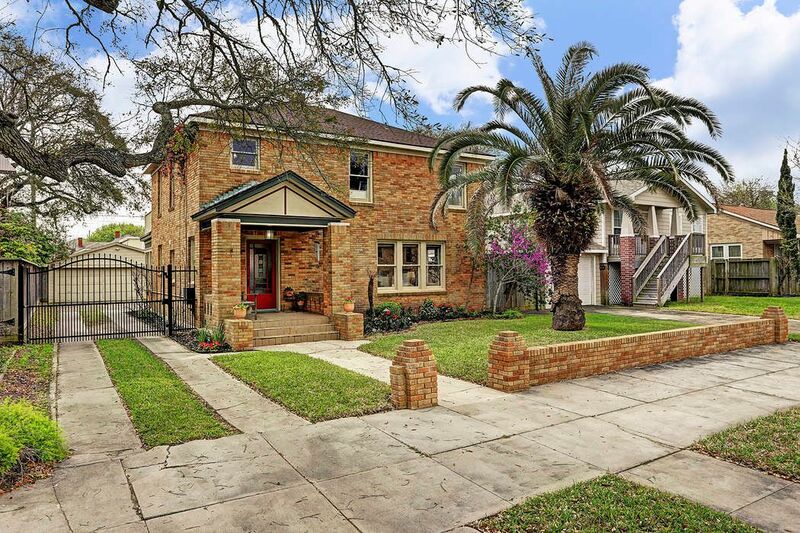 $324,800 3 Bedrooms2 Full / 1 Partial Baths2,256 sq. ft. 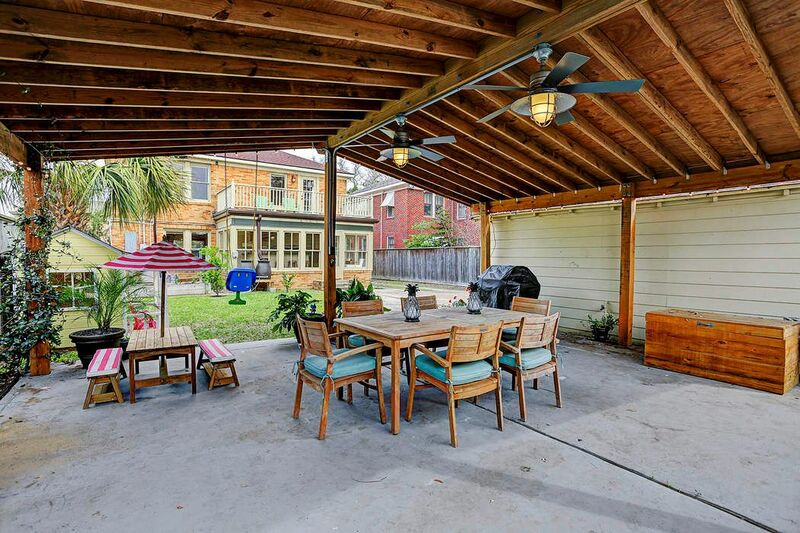 This stellar historic (circa 1929) Craftsman-style home in coveted Denver Court boasts an expansive lot enhanced by lush tropical landscaping and a colossal covered entertaining pavilion in the backyard with water and gas lines for a summer kitchen and custom lighted ceiling fans. 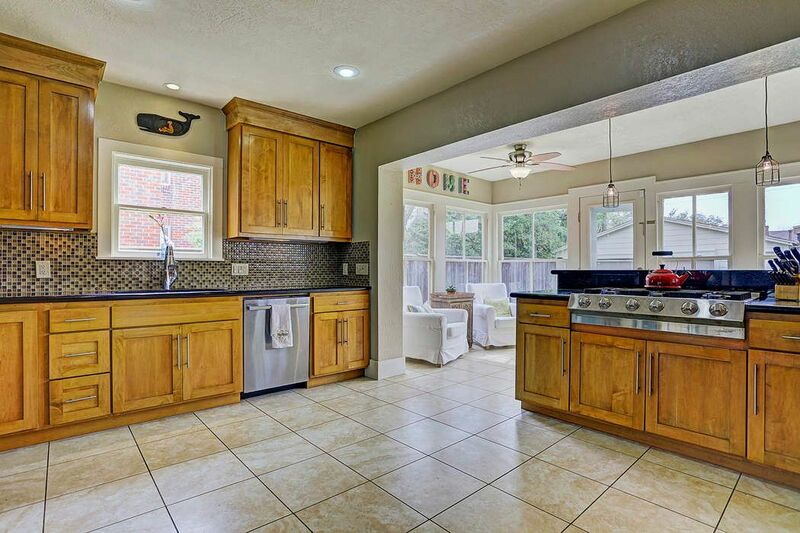 Outstanding custom designer updates and upgrades are prominent throughout the home. 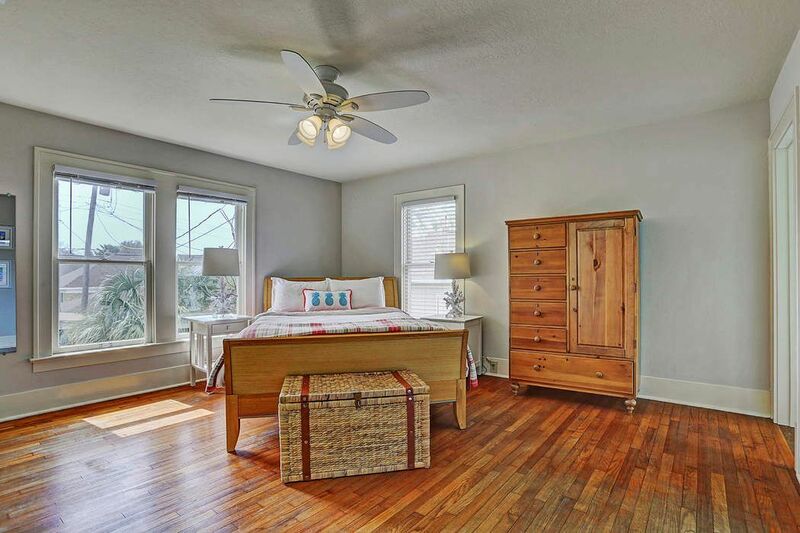 Exquisite architectural details original to the home include multi-pane French doors, longleaf pine hardwoods, wood casement windows, crown molding, wainscoting and chair railing. A magnificent stained glass window adorns the original front door. The impressive foyer is distinguished by an original crystal chandelier. The divine formal living and dining areas with a chic updated chandelier and extensive recessed lighting create a fabulous flow for island entertaining. The superb epicurean kitchen is appointed with built-in professional grade stainless appliances (Viking, Electrolux and Bosch including a 6-burner gas cooktop, a built-in convection oven, wine cooler and a built-in warming drawer), gorgeous granite, mosaic glass tile backsplash, ample room for an island, an elongated breakfast bar, custom pendant lighting and Shaker style custom cabinetry with under cabinet lighting and soft close drawers. The marvelous master suite is graced by a luxurious bath accented by an oversized subway tile shower, an elongated cultured marble vanity, mosaic tile flooring and a picture window. 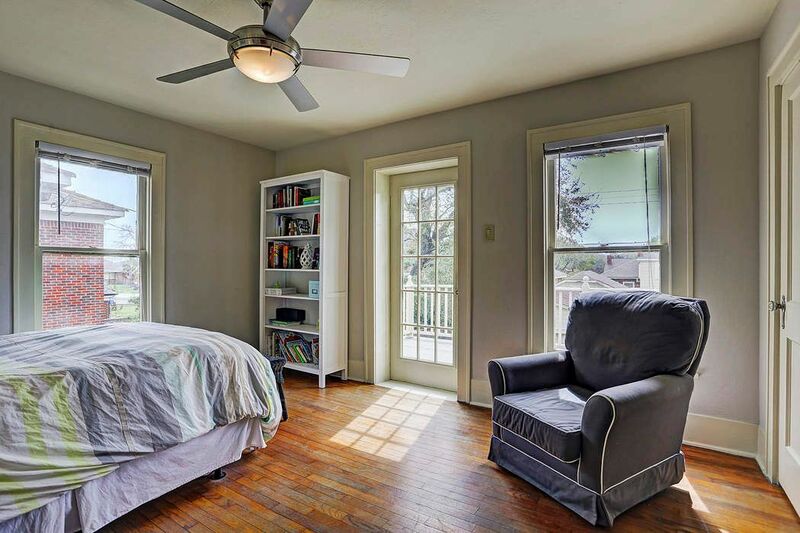 The corner guest bedroom is highlighted by a custom ceiling fan and a French door accessing an expansive veranda offering glorious backyard vistas. 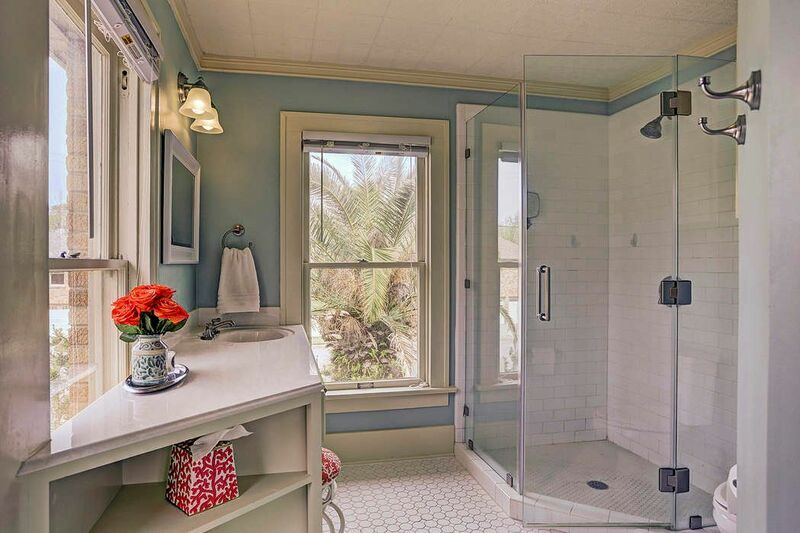 The guest bath is complemented by beadboard wainscoting and vintage mosaic tile flooring. The sensational sunroom featuring walls of gleaming windows is the ideal spot to savor your morning latte. The oversized two car garage is accessed by an automatic driveway gate. The manicured front lawn is bordered by a decorative brick wall and posts. 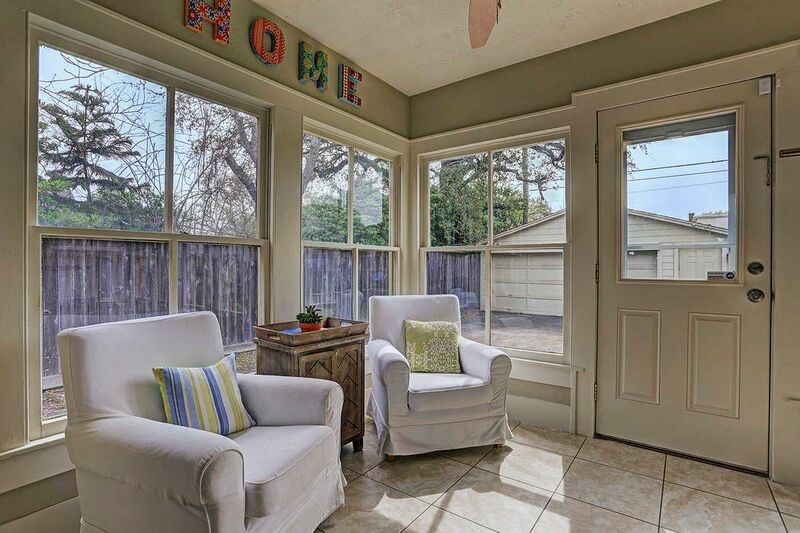 This lovely home is truly a treasure.